A national organization recognized Indiana State University's Bayh College of Education Saturday (March 13) for its collaborative work with schools in Indiana. The National Association for Professional Development Schools selected the Indiana State University Professional Development Schools Partnership for its prestigious Award for Exemplary Professional Development School Achievement. The association encourages universities to create partnerships with school districts to help those preparing to enter education as well as in-service educators. "When teacher education was selected by the university as a national program of distinction, it was expected that our programs would demonstrate pre-eminence regarding community engagement and experiential learning," said Brad Balch, College of Education dean. "This award recognizes our persistent efforts to provide authentic learning immersed in real conditions of practice by working closely with our K-12 colleagues." College representatives were presented the award during the national conference in Orlando. Rebecca Libler, associate dean in the College of Education and director of the Partnership, said ISU's award-winning partnership with 19 schools in five school districts stemmed from the college recognizing two needs. "Students needed real-life practice in the way of extended clinical experiences," she said. "Schools also need to have access to research on best practice, rejuvenation through contact with content area experts and assistance with improving the learning environment for all students." One way Indiana State has impacted its students is by offering the Teachers of Tomorrow Advancing Learning (TOTAL) program for elementary and special education students. They have the opportunity to spend the semester before student teaching immersed in an elementary or special education classroom. During the first half of that semester, the students spend one day each week attending content methods courses for math, science, social studies and reading and the rest of the week in the classroom. After the first eight weeks, the TOTAL student spends every day in the school. Students preparing to be middle and high school teachers have similar opportunities for extended clinical experiences through the "Immersion Semester," a program which places them with a master teacher in the content area they are preparing to teach while they are also taking essential education courses. Some time is spent learning how other areas of the school work in order to avoid the "culture shock" that often happens when students begin student teaching in large and complex secondary schools. "The basic aim is to ensure that ISU teacher candidates can bridge theory to practice to be better prepared for student teaching and, subsequently, for teaching professionally," Libler said. One way that the university interacts with teachers is by inviting one secondary and one elementary teacher to take a sabbatical from their school positions for a year and to join the ISU education faculty. They then teach and enroll in classes, in addition to supervising interns and student teachers. They also assist the school district with planning a professional development activity. "In essence, they become true boundary spanners by bringing together the two different worlds of P-12 and higher education," Libler said. 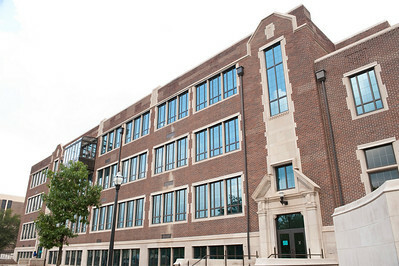 In 2007, Indiana State's Bayh College of Education was identified by the university as a Program of National Distinction for achieving a national reputation for the quality of its work. In 2009, Teachers for a New Era recognized the college's teacher preparation programs as among one of the top nine innovators in the nation. The Indiana State University Professional Development Schools Partnership was awarded the Christa McAuliffe Award for Excellence in Teacher Education in 2002 by the American Association of State Colleges and Universities (AASCU). The National Association for Professional Development Schools selected the Indiana State University Professional Development Schools Partnership for its prestigious Award for Exemplary Professional Development School Achievement.